Vitamin B12. It’s arguably one of the most important micronutrients on the face of the planet, involved in the metabolism of every single cell in your body. You don’t have to swap your chickpeas for chicken just yet. There’s still plenty of things you can do to stay on top of your vegan B12 and remain a healthy herbivore. Today we’re going to explore how to get B12 as a vegan, and some of the best natural sources. Vitamin B12 is one of eight B-vitamins. It’s water soluble and is structurally the largest vitamin we know of. We absorb B12 in the gut with the assistance of a protein called Intrinsic Factor. The most common dietary sources of B12 consumed around the world are animal products such as meat, dairy, seafood, and eggs. But B12 isn’t necessarily produced by the animals per se… Many people don’t realize that B12 is actually synthesized by certain bacteria and archaea. 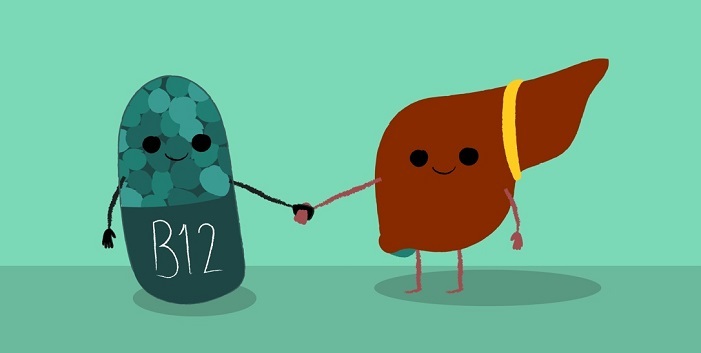 We humans actually produce our own B12 from bacteria in the colon, but in a cruel twist of fate, it’s too far down in the digestive tract for us to absorb any! How Much B12 Do We Actually Need? The values above are based in the USDA daily guidelines. However, in 2015, the European Food Safety Authority established a new ‘adequate intake’ of 4μg (microgram) per day for the general population. In short – make sure you’re getting enough B12 through your diet or supplements, and be sure to go to a doctor and get tested if you suspect you may be running low. What Does B12 Do? Why Do Vegans Need B12? Vitamin B12 is involved with a long list of important chemical and metabolic processes in the body – red blood cell production, DNA synthesis, nervous system function, and energy metabolism just to name a few. Maintaining adequate B12 levels also helps to prevent anemia (a lack of healthy red blood cells) and various neurological issues – both of which can have serious health implications. As we touched on above, vegans need to pay particular attention to their B12 levels because the micronutrient is mainly found in animal foods. According to The National Institute of Health, older people, those with atrophic gastritis (thinning of the stomach lining), pernicious anemia, and other gut issues like Crohn’s and Celiac disease may also be at an increased risk. So if you’re looking to maintain healthy B12 status when on a plant-based diet, what are your best options? Let’s take a look. The percentage of DV listed is based on the European Food Safety Authority adequate intake’ of 4μg. Your actual values may need to be adjusted based on your age and various other factors. Typically it’s a fairly simple process to source vitamin B12 foods for vegetarians, as the diet allows for the consumption of some animal products. Shellfish are some of the most dense natural sources of B12 on the planet, as well as being rich in other important micronutrients like omega-3s, zinc, and iron. Although they’re not strictly plant-based, some vegetarians choose to consume them as they have no central nervous system (the shellfish, not the people). As well as being a super source of B12, eggs are rich in protein and vitamin D. There is however some controversy over whether eggs should form a regular part of a healthy diet, with potential links to certain cancers and cardiovascular disease. Along with B12, milk contains high concentrations of calcium, important for maintaining healthy bones. Many people are allergic or intolerant to lactose, the milk protein found in dairy, and may benefit more from goats milk or plant-based alternatives. The B12 levels in cheese vary depending on the type – with higher concentrations found in Swiss Cheese and Gjetost, and lower values in Cheddar and Romano. In terms of fully vegan B12 sources, B12 fortified foods are widely regarded as being the most reliable. 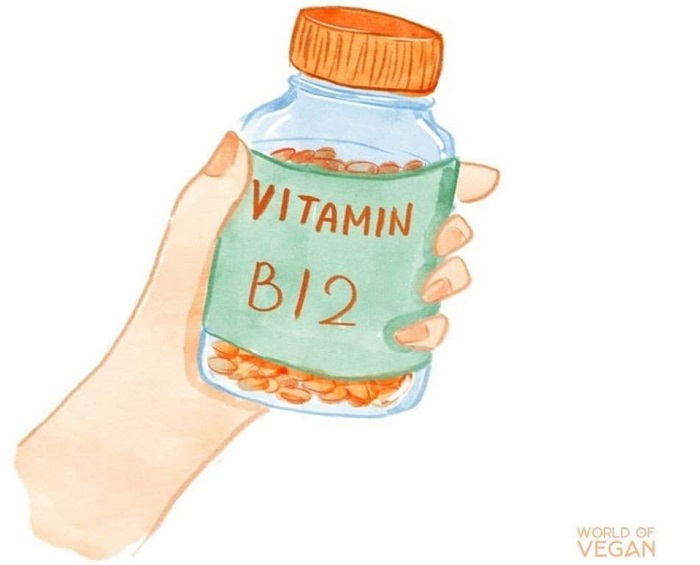 Interestingly, a study in 2000 found that vitamin B12 from fortified foods was actually linked with a better B12 status than B12 intake from animal products. Researchers hypothesized that the B12 in meat and dairy might actually be damaged during cooking, whereas the form used in fortified foods tends to be more stable with heat. Although fortified yeast is a super dense B12 source, it may be wise to diversify your B12 sources (as opposed to just relying on this one). B12 is light sensitive, so if you get your nutritional yeast from clear plastic containers like those found in Wholefoods, the micronutrient may degrade and the actual values may be lower than usual. You either love or hate it. Regardless, it may be worth experimenting with marmite or other yeast spreads from time to time if you’re looking to keep your B12 levels in check. They don’t provide a whole load of bang for their buck, but every little helps! Whenever possible, go organic and double check the label to confirm it is actually fortified with B12! Many plant-based meats are a great source of B12 – including the B12 Burger made by British brand Moving Mountains. Again, not all plant-based meat alternatives are fortified, so remember to check the nutrient labels! When it comes to vegan sources of vitamin B12, it’s widely agreed upon by medical and nutritional professionals that the most reliable are B12 fortified foods and supplements. While there are some natural plant sources of B12 (and some with relatively high concentrations), unfortunately the evidence is not yet strong enough for you to rely on them solely. So it’s important to take the following vitamin B12 vegan foods with a pinch of salt, and avoid relying on them as your sole source. Fermented foods are becoming increasingly popular because of the potential benefits when it comes to digestive health and the gut biome. On top of that, they may also be a source of vegan B12 – particularly tempeh, or fermented soy beans. Interestingly, the soy beans themselves do not contain B12, but it’s actually generated during the fermenting process. Lactobacillus bacteria is a bacteria commonly found fermented foods which has been shown to produce some B12, but there’s yet to be enough hard evidence to suggest it is a reliable source. This is also the case with Kimchi – a Korean dish of fermented cabbage. One study calculated 0.18-0.24mcg of B12 per 100g, but this is not necessarily representative of all store-bought varieties. 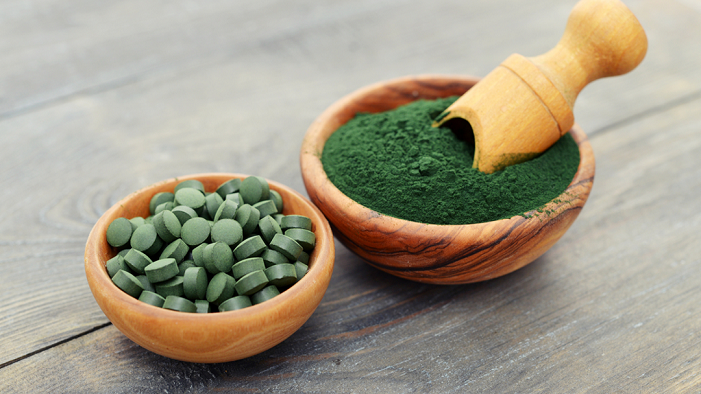 Algae like chlorella and spirulina are often brought up when it comes to natural sources of B12. While there is some good evidence to suggest chlorella can contain some B12 precursors and may be a viable option, most of the evidence shows that spirulina is NOT a reliable source (and may even negatively impact B12 levels). Nori is a great source of iodine, another micronutrient that vegans and vegetarians sometimes need to be aware of. When it comes to B12, evidence suggests that raw nori could be a viable source. Interestingly, when nori is cooked or dried, it seems the B12 levels deteriorate. Like spirulina, we start to see high amounts of ‘pseudo-vitamin B12’, which may actually negatively impact B12 levels. There is some evidence to suggest that certain types of mushrooms may contain active B12. One such ‘shroom is the Cremini. Is Organic Food a Source of Vegan B12? Some proponents of a plant-based diet argue that organic, unwashed fresh produce is a natural source of B12. Is there any merit to this? While bacteria in the soil can produce B12, and opting for organic food is in many ways better than non-organic, the evidence that we can get all the B12 we need from dirty vegetables isn’t all that convincing. So by all means buy organic food when possible or opt for an organic vegan meal delivery service, but keep on top of your fortified foods and/or supplements as well. Many people debate over what vitamins should vegans take. Iodine, Omega-3s and Vitamin D are all hotly contested. However, one that’s pretty much universally agreed upon is our old friend B12. All vitamin B12 supplements are based around the same structure – a cobalt ion surrounded by a corrin ring. But there are variations around this theme, each with their own set of unique properties and potential benefits. So what are the most popular vegan B12 supplements, and which one is right for you? Cyanocobalamin is a synthetic form of B12, but it’s also the most studied, most stable and cheapest. Here the cobalt ion is attached to a cyanide molecule, which breaks off during absorption. Most experts agree that it’s not, as your body is exposed to similar concentrations of cyanide in various whole foods. Methylcobalamin and adenosylcobalamin are the more natural forms of B12 found in foods. The body has to convert cyanocobalamin into these two forms to actually put your B12 to work. One study showed that cyanocobalamin may be easier for the body to absorb than methyl (49% vs 44% absorption), whereas slightly more recent research has shown that cyanocobalamin may actually be harder for the body to retain than the natural form of B12. This is the form of B12 often found in food or used in B12 injections. Hydroxy is often retained better than cyanocobalamin after injections, but getting a shot is less convenient and more expensive than taking a daily supplement. Is B12 vegan? In almost all cases B12 supplements are vegan as the B12 is derived from bacteria, not animal sources. Which is the best form? When it comes to the best B12 for vegans, cyano, methyl + adenosylcobalamin are all decent options. If you go the natural route however, you may need to take both methyl and adeno, as cyano typically converts to both (but methyl does not necessarily convert to adeno, and vice versa). Spray or pill? When it comes to sublingual sprays vs normal pills, there does not seem to be a significant difference when it comes to absorption, so either would be fine. In Summary: Take Your B12 Seriously! If you’re looking to stay on top of your B12 levels, hopefully now you’re armed with everything you need to stay safe. Fortified foods of 2.0-3.5 mcg per serving, twice a day. Daily supplement of 25–100 mcg per day. Supplement of 1,000 mcg, twice per week. With the above recommendations, you should be able to keep your B12 levels in a healthy range, but if you do suspect you may be falling short, consult a medical professional for testing.